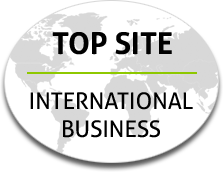 Ranked TOP SITE for International Business. Established in 2010, Africa Business Review (ABR) was recently named one of the best sites for international business people by Masters In International Business. African Business Review (ABR) examines Africa's rising influence in today's global marketplace. Africa Business Review (ABR) analyzes business and IT innovations in Africa's emerging markets. Our content aims to examine African business in both a global and cultural context. By analyzing global trends and strategic partnerships between African economies and the rest of the world, ABR aims to challenge the long-held preconceptions about the African continent and to identify both the opportunities and the risks of this rapidly changing business environment. 3. how to position international brands to take advantage of the rise of the African consumer.